Well, this is something special. 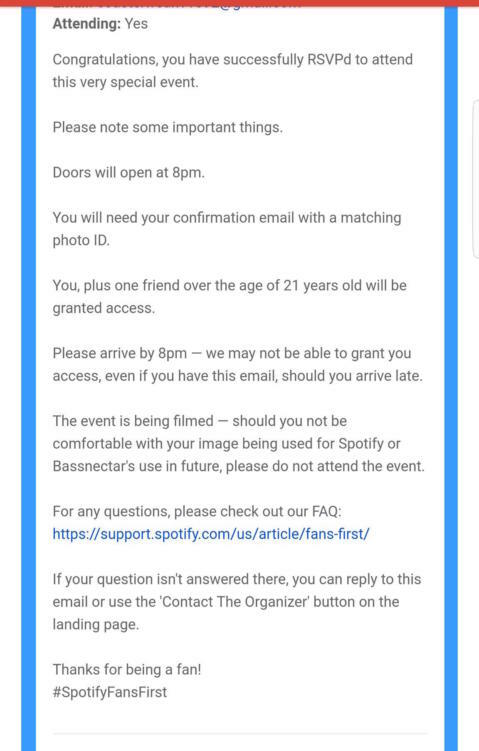 Bassnectar and Spotify just sent out some of the wildest emails ever seen. 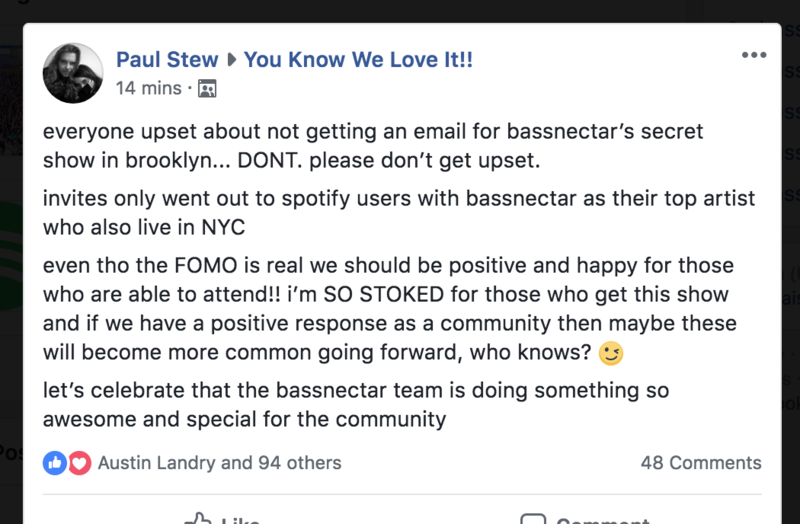 The emails, titled “Bassnectar Takes Over Brooklyn”, were sent to top fans (according to Spotify analytics) who live in the New York area. The event is private, in which only those select recipients of said emails can attend. Those that received an email also get a plus one. 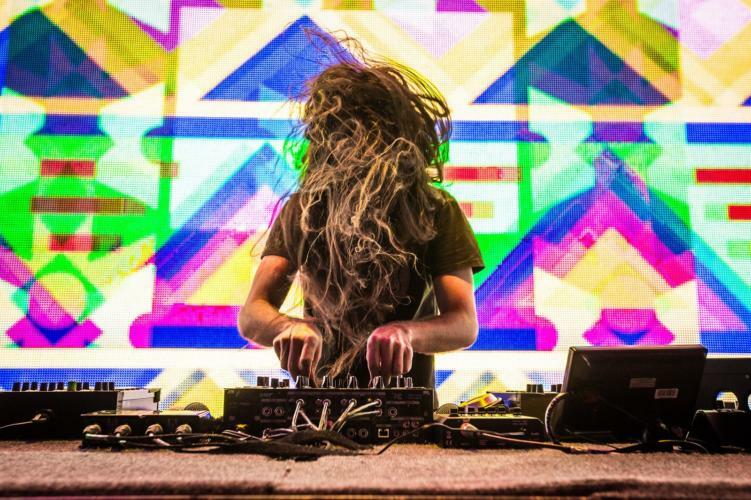 Last week, Nectar made a tweet which alluded to a closed door intimate set such as this. However, no one actually thought this would happen! With Elements Music & Arts Festival happening next week in the NYC area, this party and the anticipation leading up to this secret event makes perfect sense. Well done to Bassnectar and Spotify for pulling this one off. Were you one of the lucky ones to receive an email? See details from the secret private party below. And go check your email if you’re a Spotify user. You might be on your way to a party of a lifetime.